“Jan’s knowledge of plants — perennial and annual, native and non-native, sun and shade-loving — helped us create a garden that matured into an oasis of flowering and non-flowering shrubs and trees. 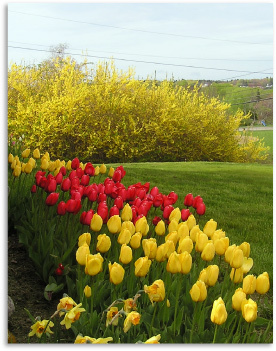 Each season presented blooms, sculpture or color. On the bleakest winter days, we have enjoyed a rich display of color because of Jan’s use of evergreens in varying hues and textures. “The Pallottine Sisters in Laurel, Maryland, have employed Jan Limmen as our convent’s landscaper and gardener for many years. 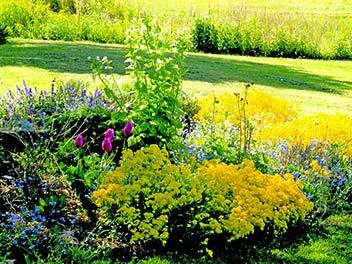 He has planted and cultivated countless trees, bushes, plants and flowers. His many accomplishments include designing and building a shrine to our founder, St. Vincent Pallotti. We have received numerous compliments on his work from the community.